Meet our team of qualified therapists to see why our friendly atmosphere is best for your healthcare needs. 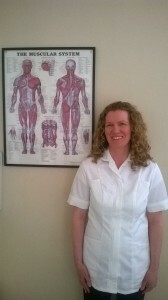 I work from the clinic at Meadowbank Terrace in Edinburgh. 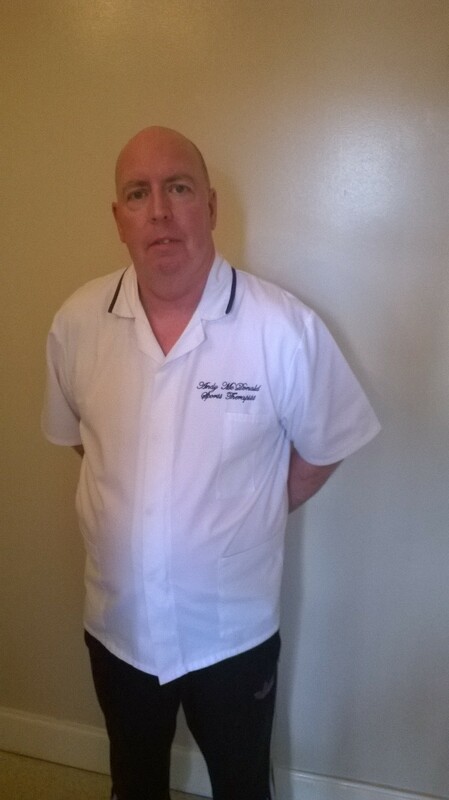 I have been a therapist for over 25 years specialising in the treatment of soft tissue injuries / sports injuries. I am fully insured and a full member of MLDuk. 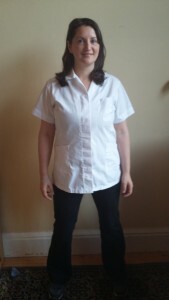 I am a Chartered Physiotherapist and massage therapist. I believe that accurate individual examination, education and the right treatment are the most important aspects of the therapy process which will help achieve the best results. I received my degree in Physiotherapy at the Vilnius University, Lithuania. 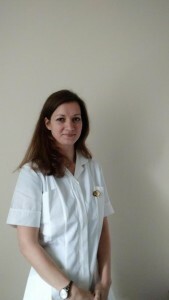 I practiced as a physiotherapist and massage therapist in various hospitals and development centres in Lithuania. I have accumulated experience working with musculoskeletal, neurological, developmental disorders, cardiology, respiratory and trauma conditions using hands-on therapy, post isometic relaxation and creating individual stretching programmes. I believe in helping the client to learn how to exercise purposefully and effectively so that they are able to return to their normal day to day routine while reducing the possibility of the problem reoccurring. This is what makes me proud of the work I do. 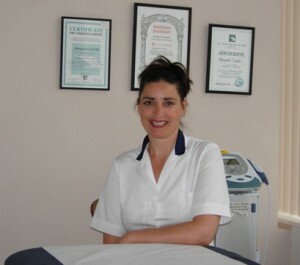 I am a qualified Advanced Clinical Massage Therapist (ACMT) and Holistic Massage Therapist (ITEC Dip). 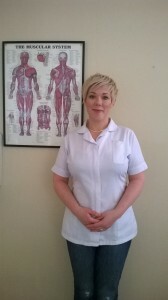 Training extensively with The Jing institute of Advanced Clinical massage means that I offer a fusion of therapeutic, clinical massage, trigger point release, myofascial release with structural integration techniques and advanced sports stretching, which when practised together form completely tailor made focused, outcome based treatments. Myofascial release with structural integration techniques can also be delivered as a completely stand alone treatment, which takes place over a series of 3, weekly sessions. The aims of which are to restore structural integrity and balance within the body. Assessment using body reading identifies areas of soft tissue distortion such as rotations (often found in the thigh), tilts (often found in the pelvis), bends and shifts. The techniques address chronic issues and patterning which may have resulted from compensations of acute injury and learned habits developed over time. I am also trained in seated acupressure, which is a form of massage delivered whilst the client is fully clothed and seated on an ergonomic massage chair. This type of treatment is generally delivered within the workplace, please contact me if you wish to arrange massage for you and your employees. As a Sports Therapist, I love nothing more than seeing a client leave the treatment room whose pain has been relieved as a result of my treatment. Over the past 17 years, I have worked on all sorts of injuries and musculoskeletal discomfort, applying a range of therapies that I carefully select and tailor for each client’s needs. This typically includes a combination of hands on treatment, exercises and education. I greatly enjoy the problem solving aspect of my work, always striving to get to the root of the problem so it can be effectively managed. I find spending time with my clients, getting to know their story and ambitions helps me to develop a logical rehabilitation program. My love of sport and outdoor pursuits has given me a particular insight into numerous sports injuries. Through doing, I have gained significant experience in the bio mechanics of different sports such as running, cycling, rock climbing, surfing, badminton and squash. During my career, I have had experience treating a range of amateur and professional sports people, including footballers, rugby players, cyclists, horse riders, runners, volleyball and racket sport players. I also have experience working with clients who have back, neck, shoulder, hip, leg and general musculoskeletal discomfort. Amongst other causes, these conditions can be triggered by stress, poor posture, work related conditions or accidents. Using therapies such as Sports and Remedial massage, Swedish massage, Hot stone therapy, Ultrasound, Kinesiotaping, Rehabilitation and Fitness instruction, I help my clients overcome their pain and learn how to stop this from happening again. I hold a diploma in therapeutic, sports & advanced remedial massage, hyperton-x, electrotherapy & currently studying for a diploma in treatment of musculoskelatal conditions with the freedom from pain institute. My interest in massage therapy stemmed from my own experience of successful treatment for severe nerve impingement which seriously affected all aspects of everyday life, a few treatments cured a problem that had been plaguing me for months, and inspired me to change career and train to devlop the type off skills that helped me so i could pass on assistance to others in similar situations. I have been in the industry for about 12 years now and during that time have treated several professional sportsmen , as well as amateur athletes competing at a high level , this experience in assisting people with soft tissue , tendon and ligament injuries , and also using stretching and mobilisation techniques in the rehabilitation after injury has helped me in my continuous learning process of restoring function and mobility in individuals who have suffered an injury or restrictive condition . I graduated from Leeds university in 2004 with an honours degree in sport Science. Originally I chose to work supporting and engaging young people to access and progress in sport, exercise and outdoor learning. I am passionate about the positive effective movement and physical activity have on our whole wellbeing. Hence I have always utilsed a good massage and believe strongly in holistic therapies for keeping your body moving and feeling well. I qualified in Swedish Massage in 2010 and Remedial and Sports Massage in 2013. I have completed CPD’s in advanved sports stretching, pregnancy masssage and taping. 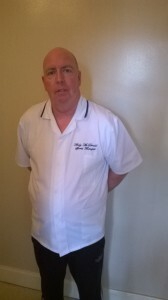 My bodywork treatments use a combination of deep tissue techniques, trigger point therapy, assisted stretching, swedish massage and movement. I have always led an active lifestyle. My work and studies has afforded me the opportunity to partcipated in numerous activities from aerial dance to sea kayaking. I particularly enjoy snowsports and have been instucting since 2009. I am a keen swimmer and I also love my yoga.